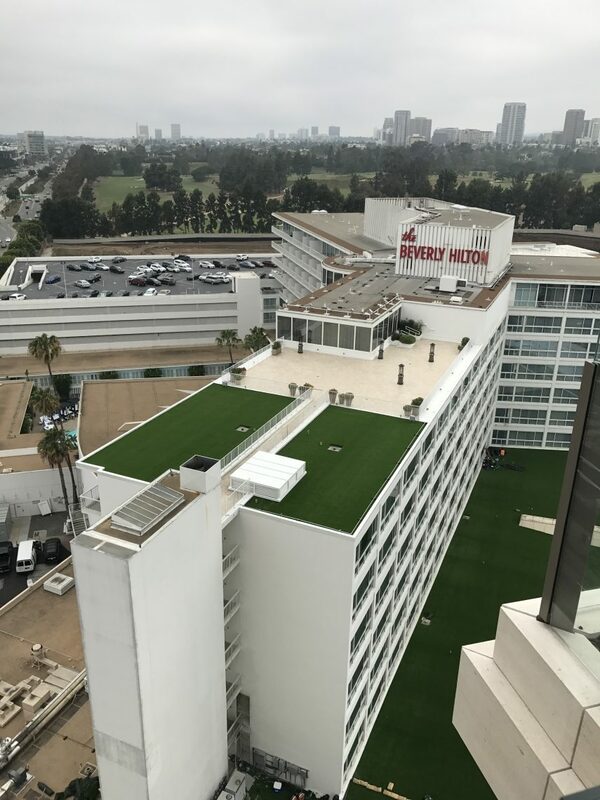 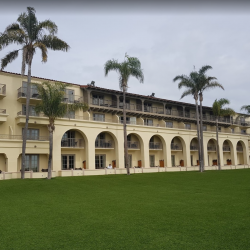 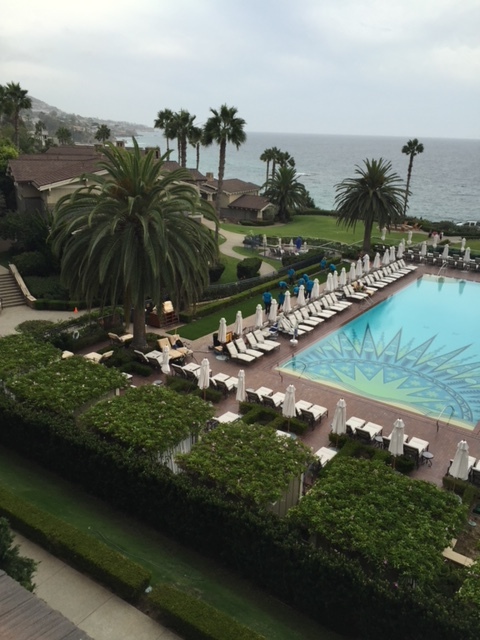 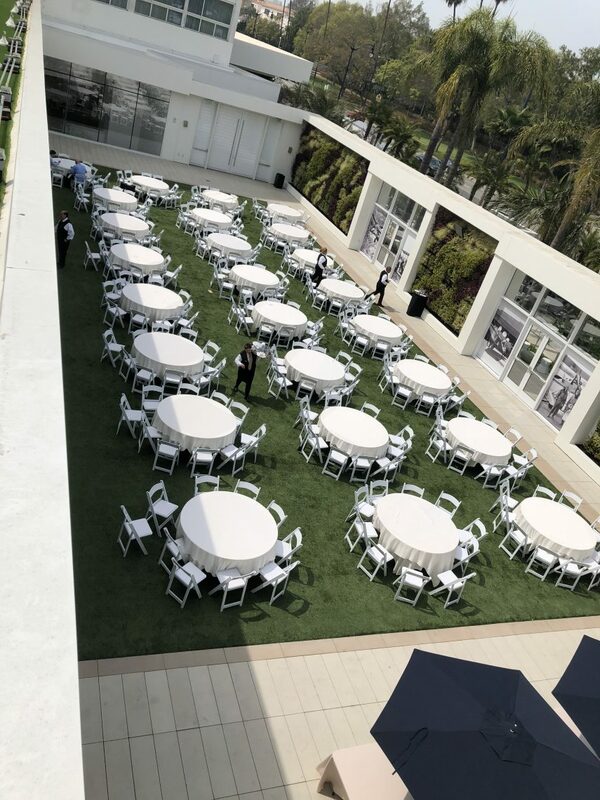 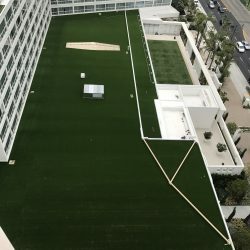 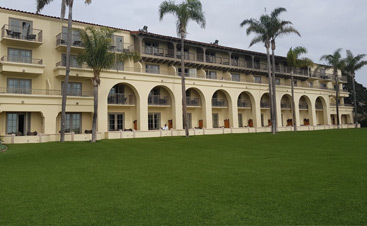 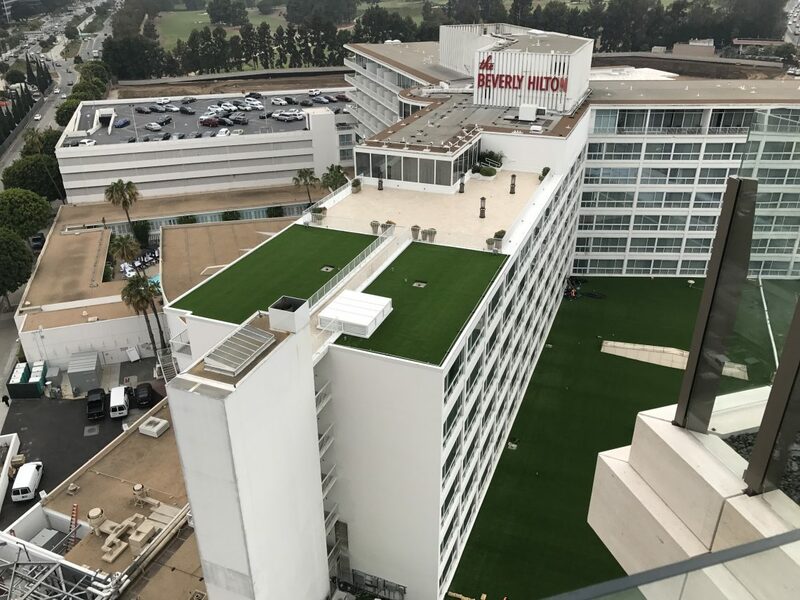 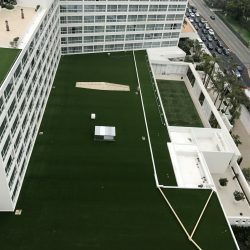 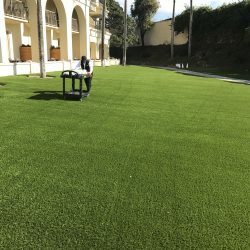 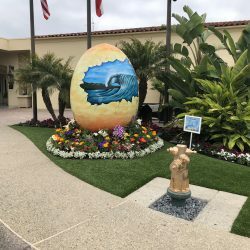 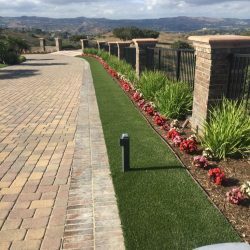 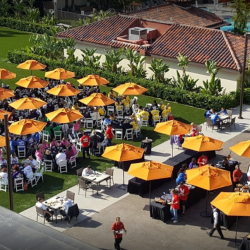 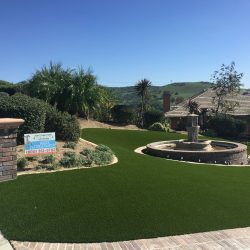 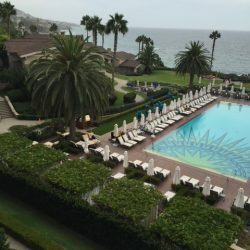 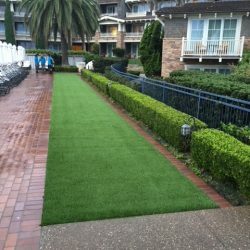 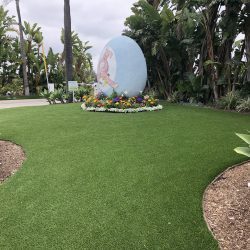 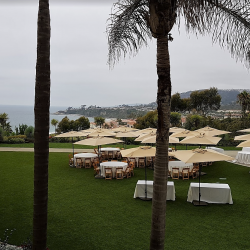 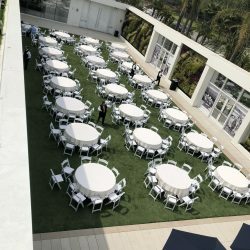 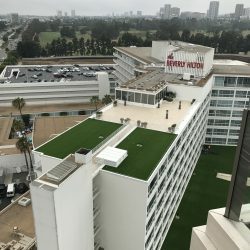 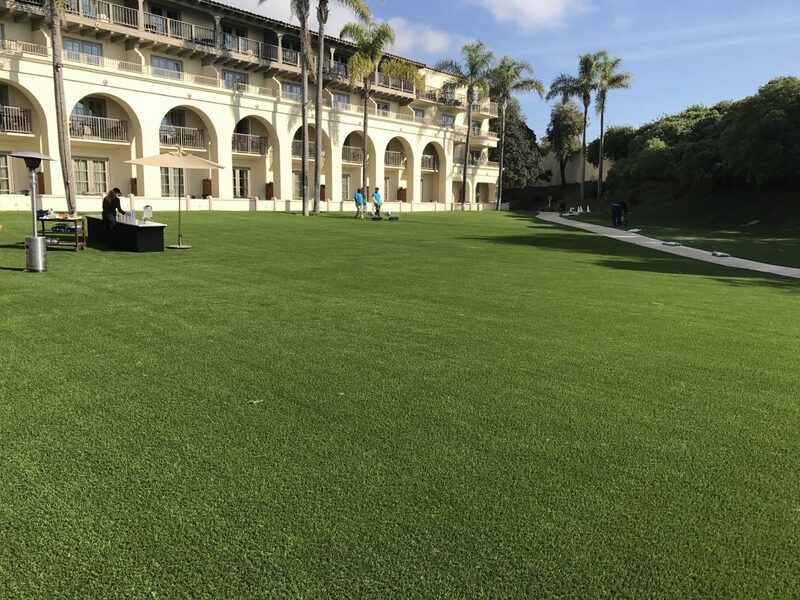 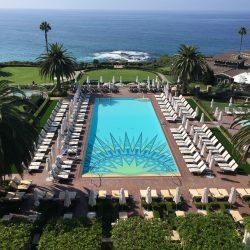 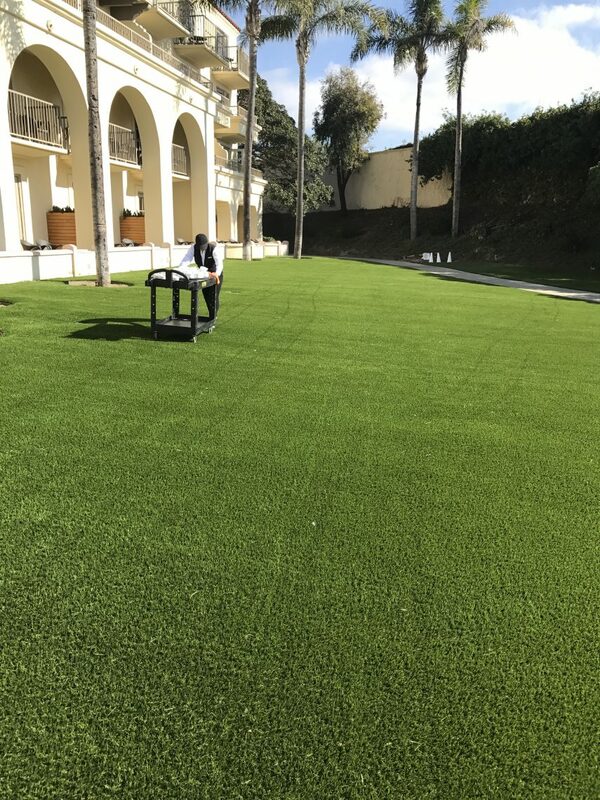 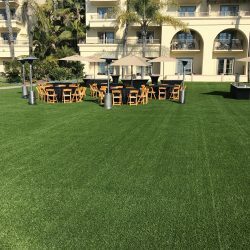 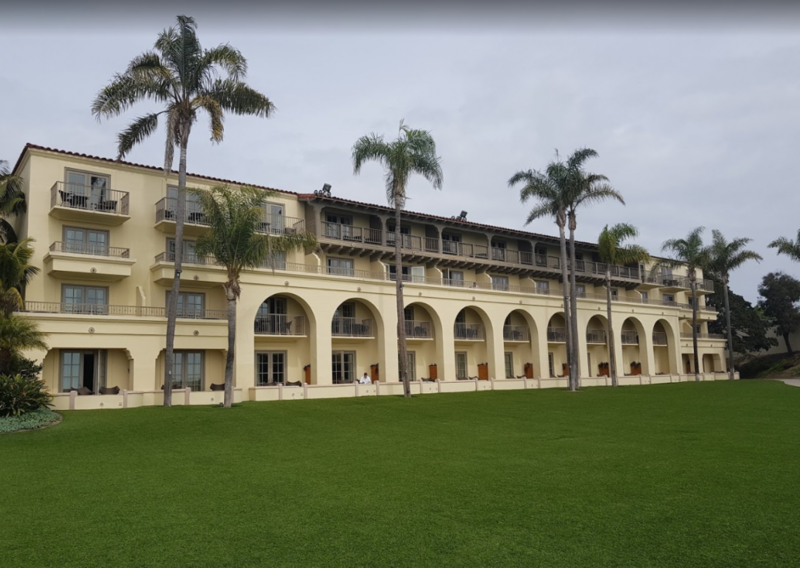 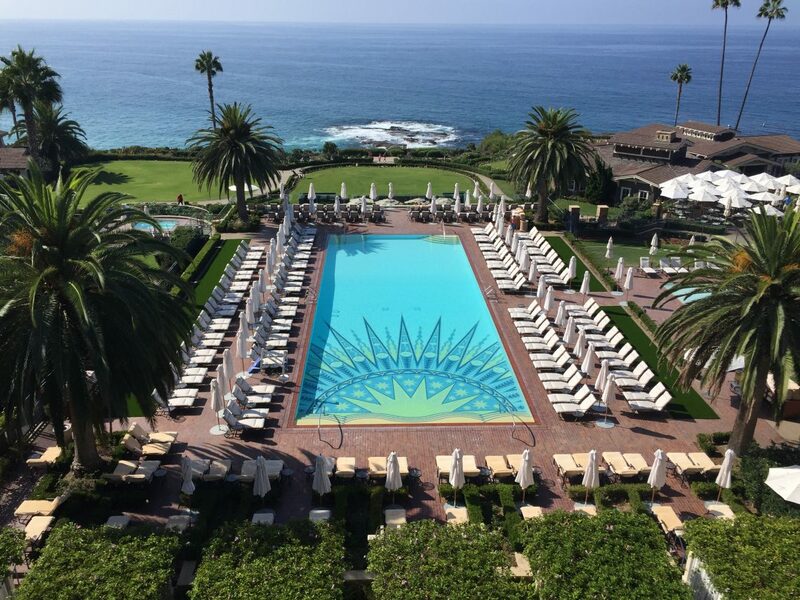 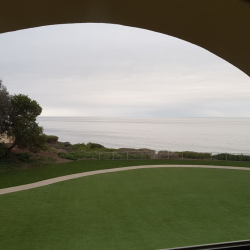 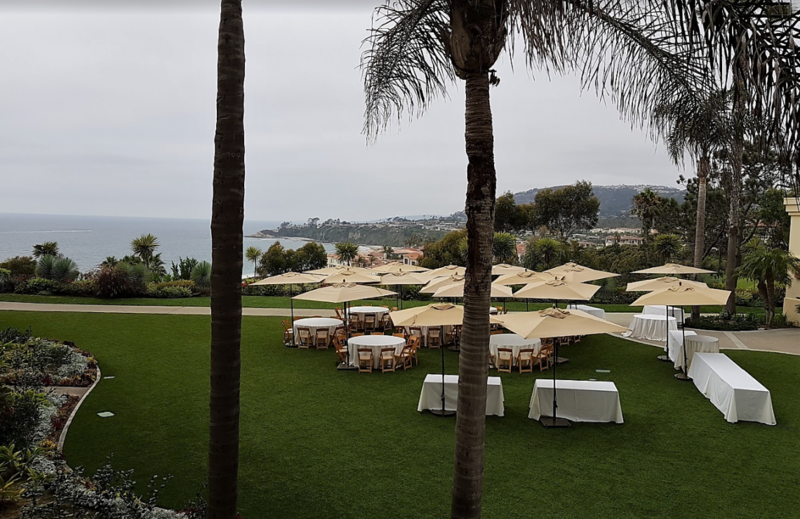 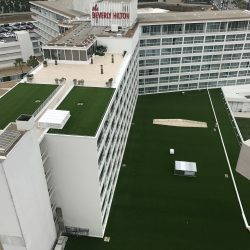 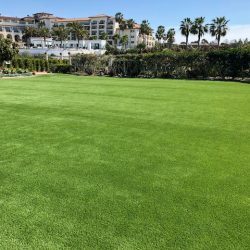 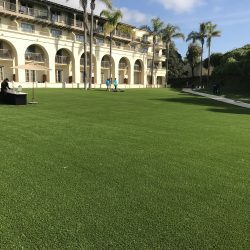 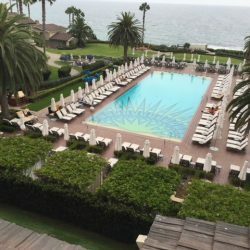 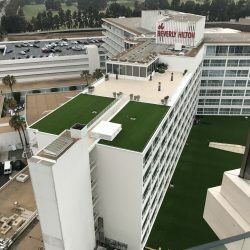 Big Businesses get huge rebate checks for water-saving turf replacement | Five Star Turf, Inc.
Large businesses are becoming increasingly interested in the benefits of artificial grass. 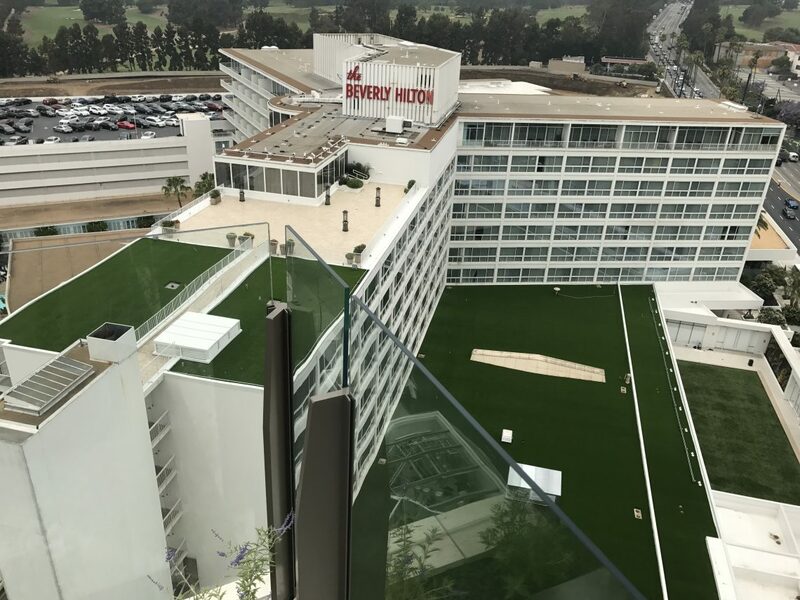 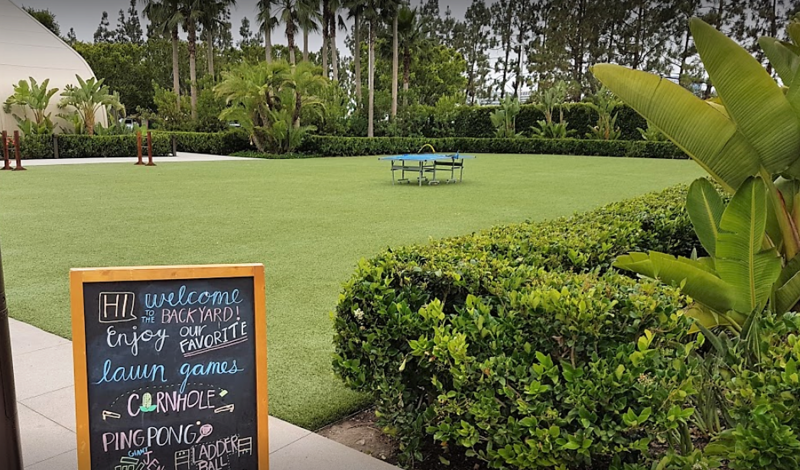 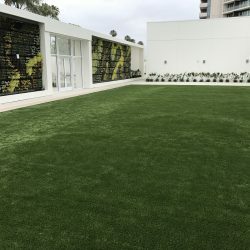 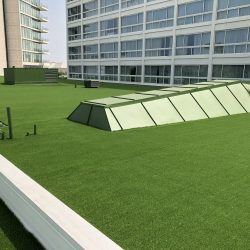 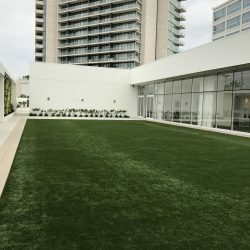 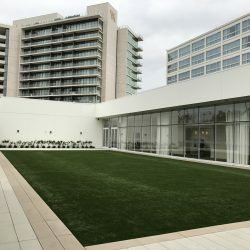 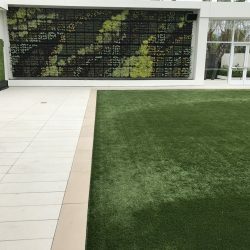 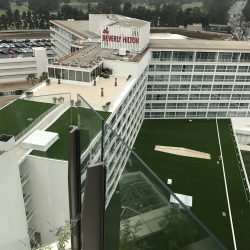 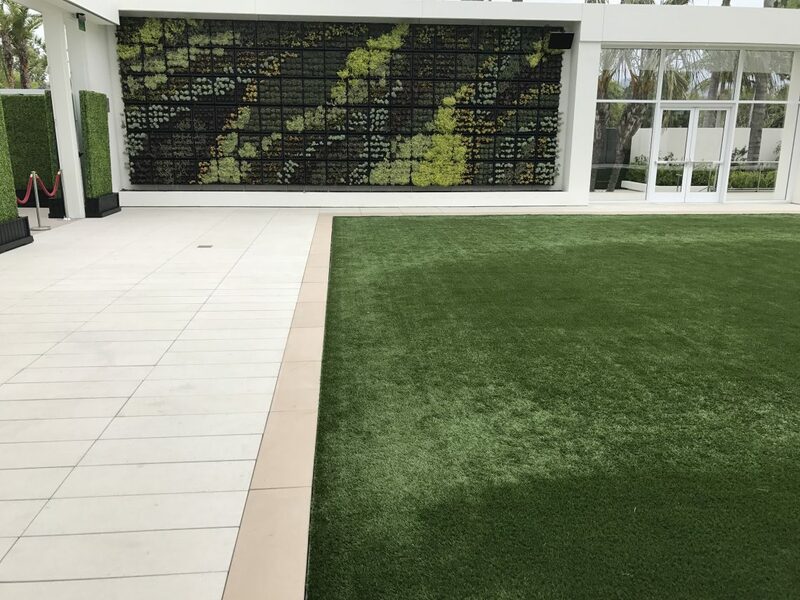 Companies like Google and LinkedIn use artificial grass as decoration at their corporate headquarters and others have followed suit for practical purposes. 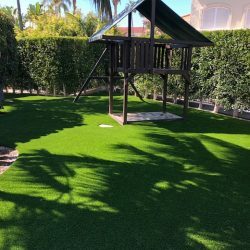 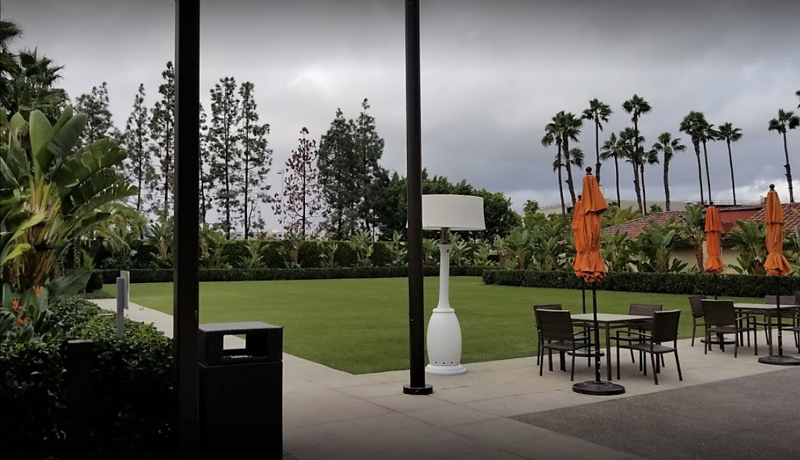 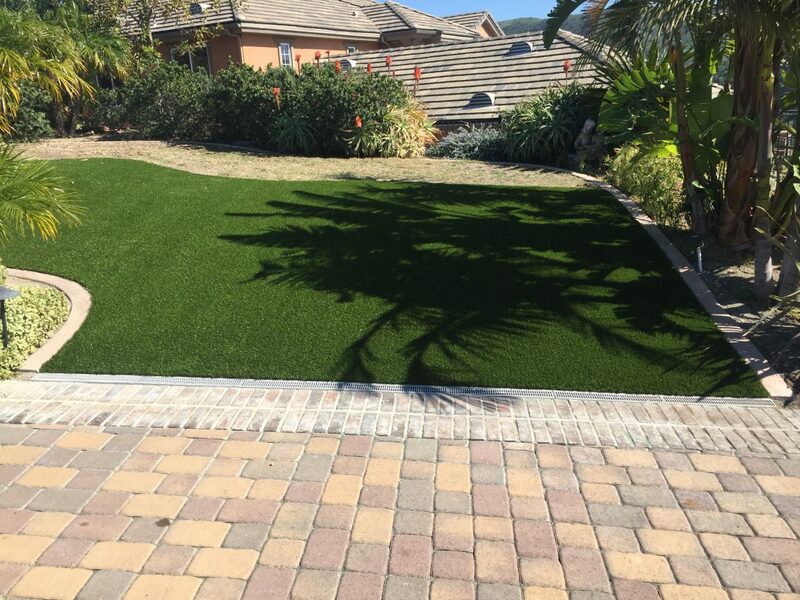 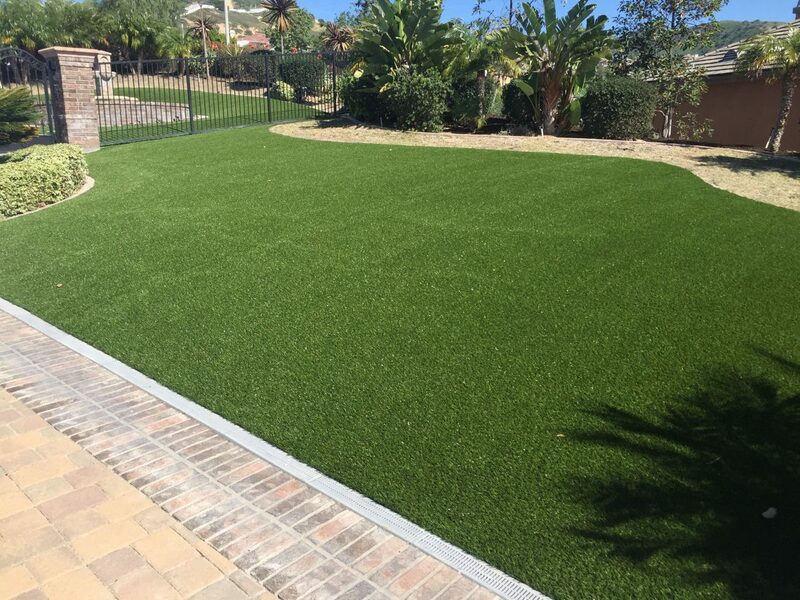 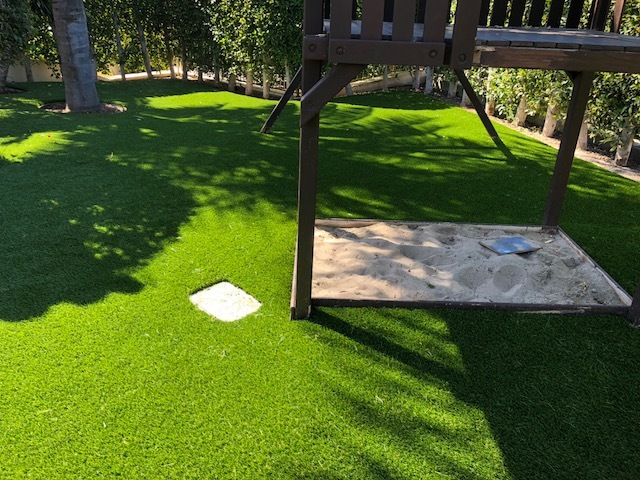 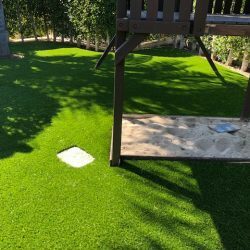 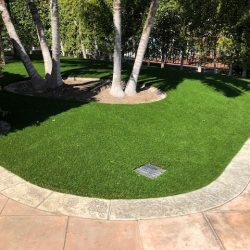 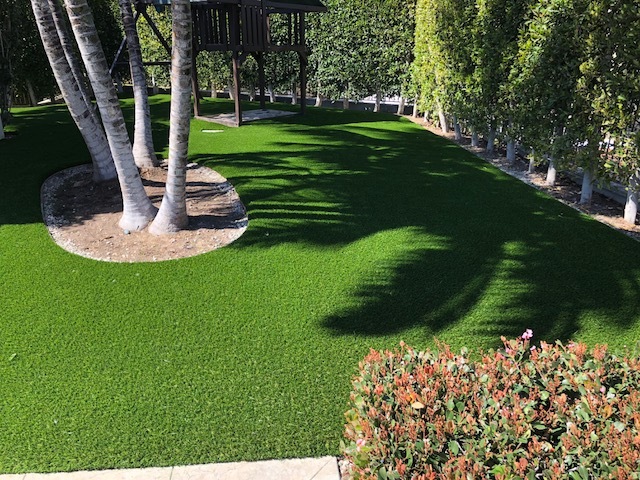 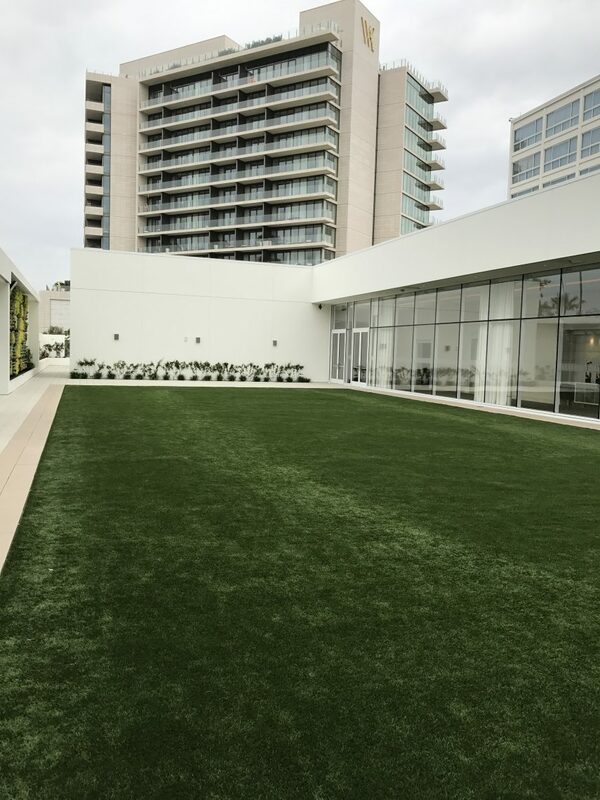 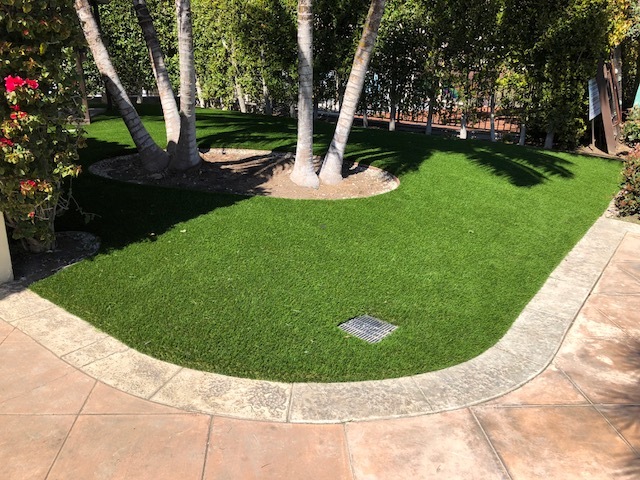 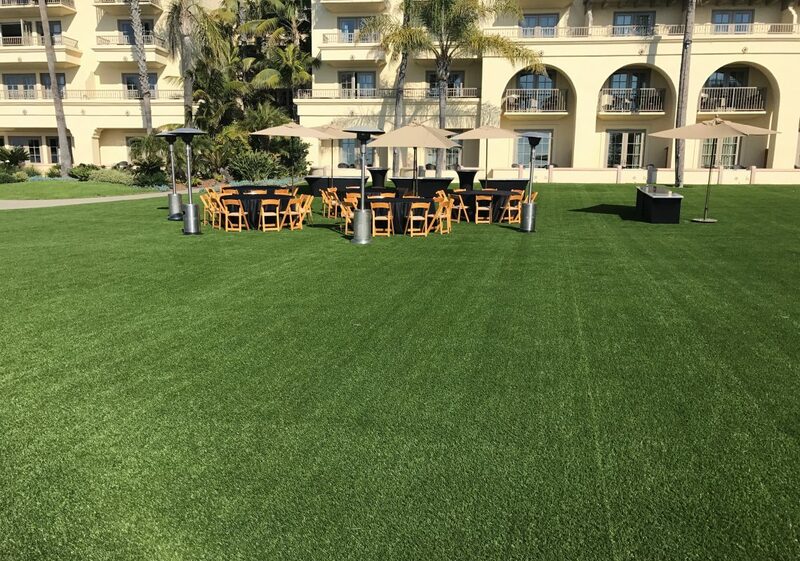 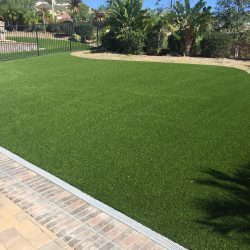 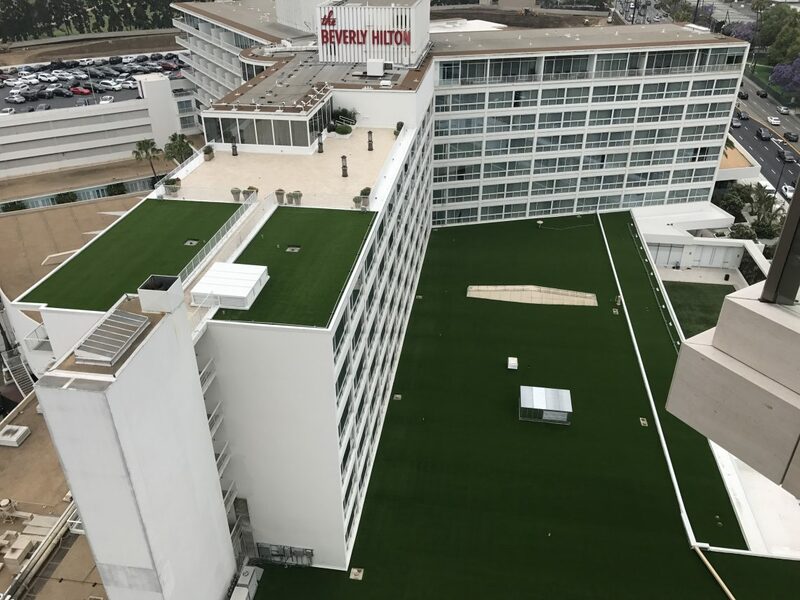 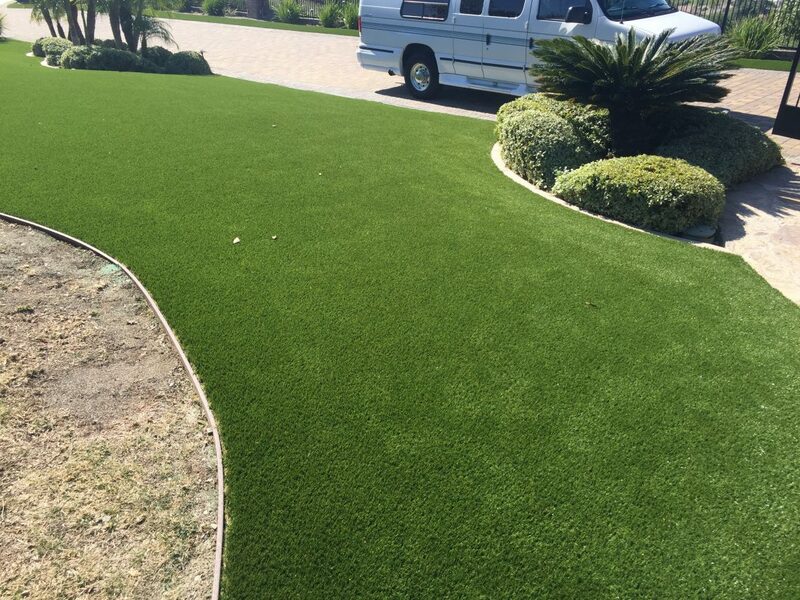 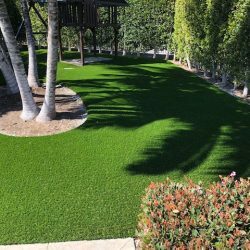 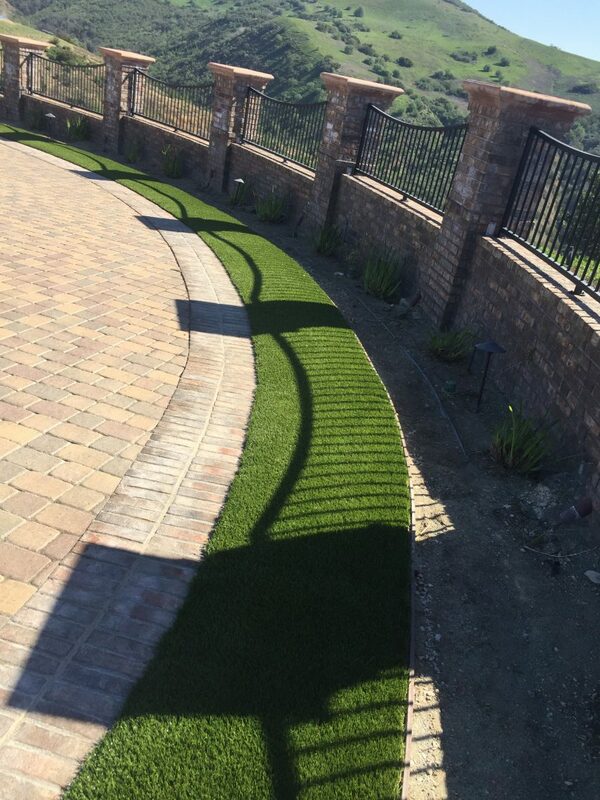 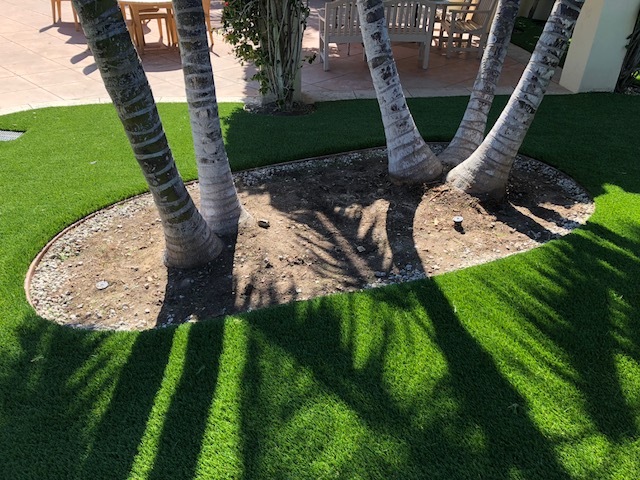 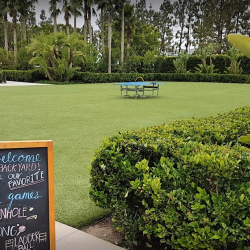 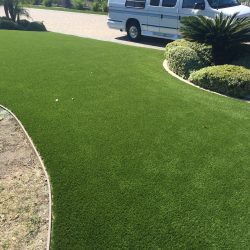 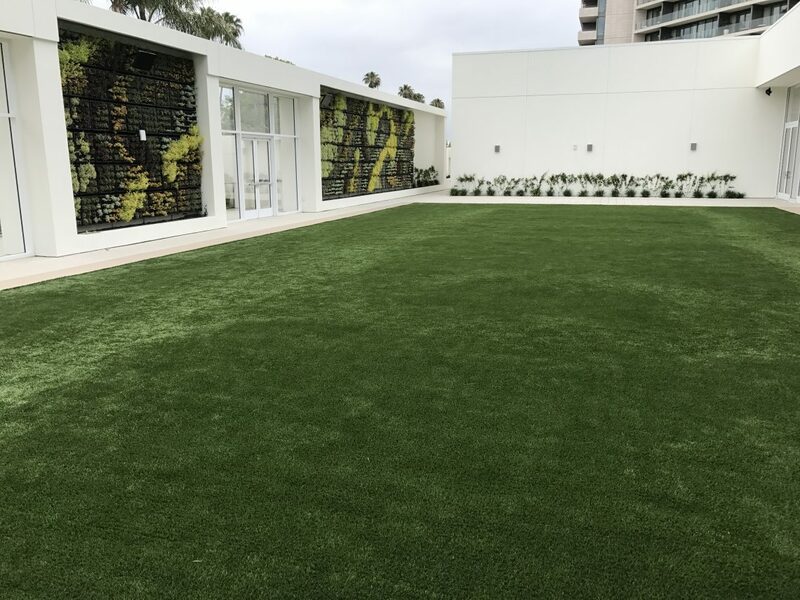 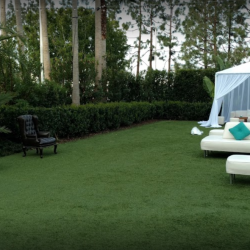 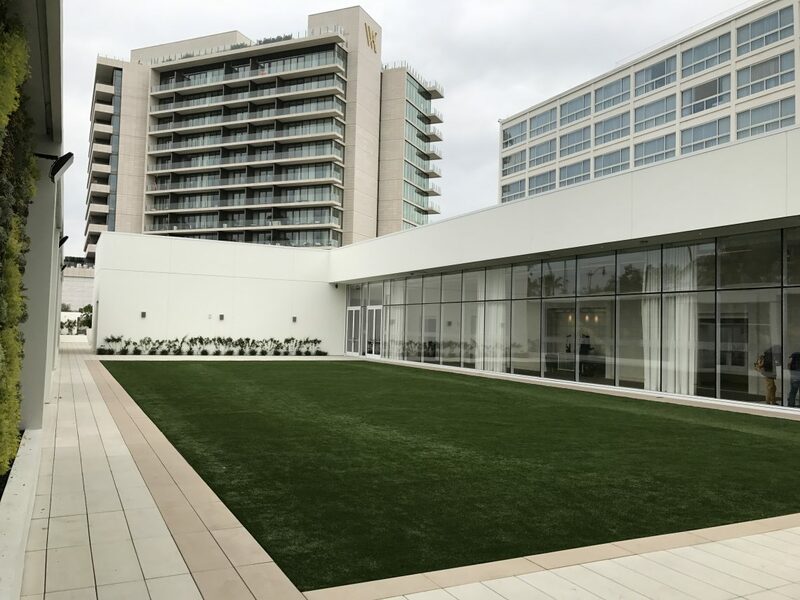 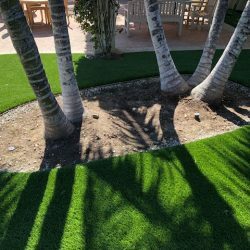 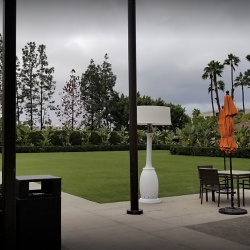 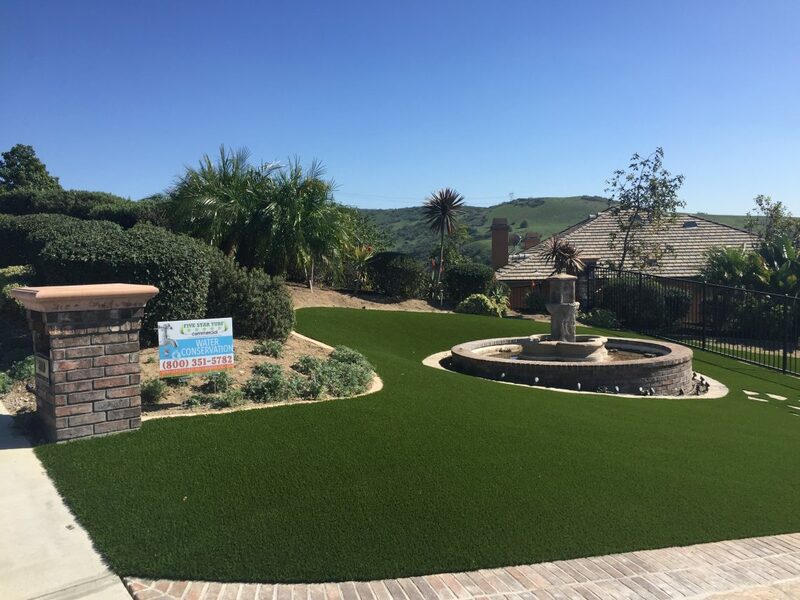 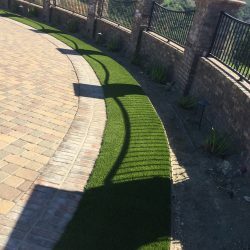 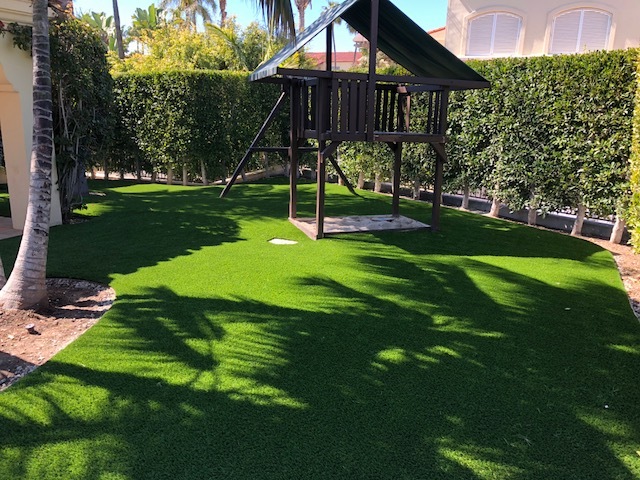 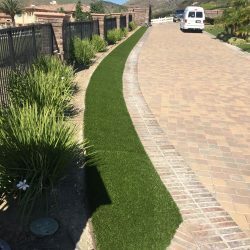 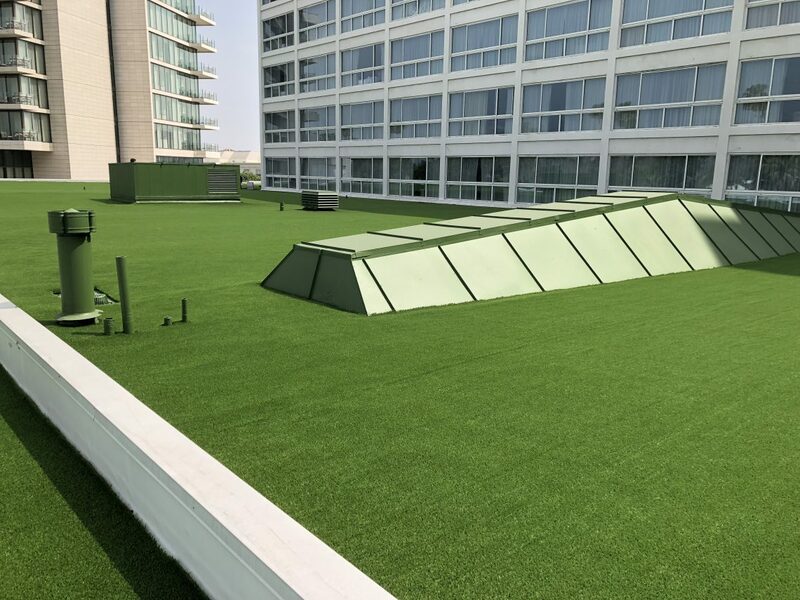 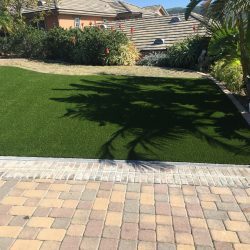 Reduced water bills, increased safety and an evergreen look are just the beginning of the differences artificial grass can make for your business. 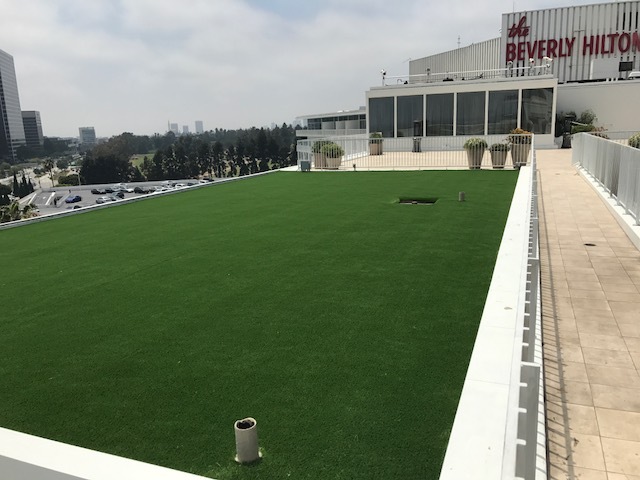 A tractor rumbled over 2 acres of green turf last month at the Miller Coors brewery, its mechanical rake leaving wide swaths of thirsty grass chomped up in its wake. 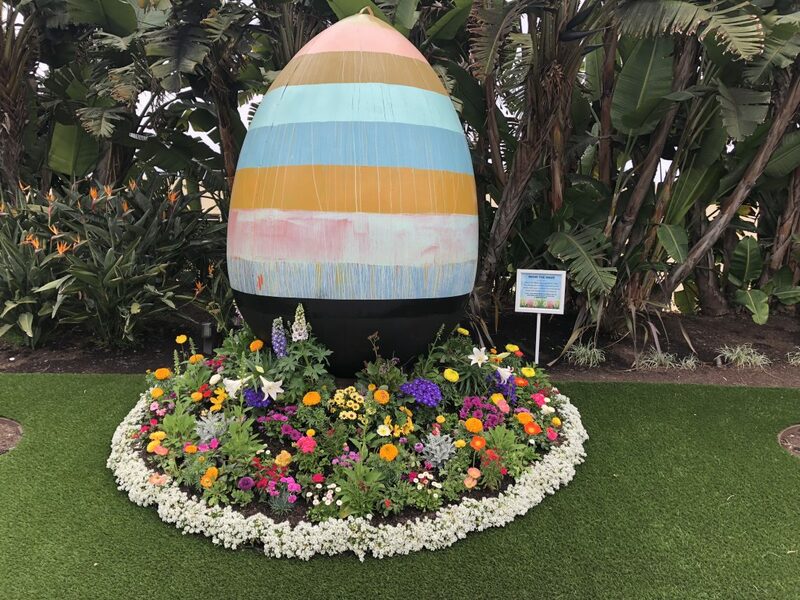 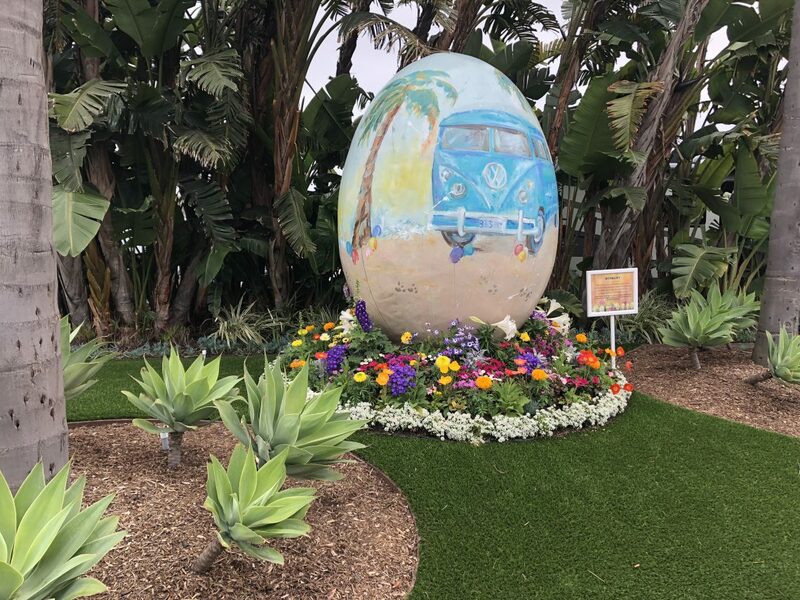 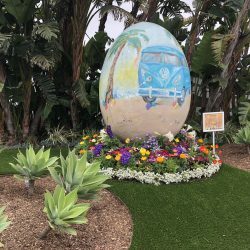 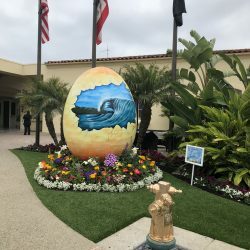 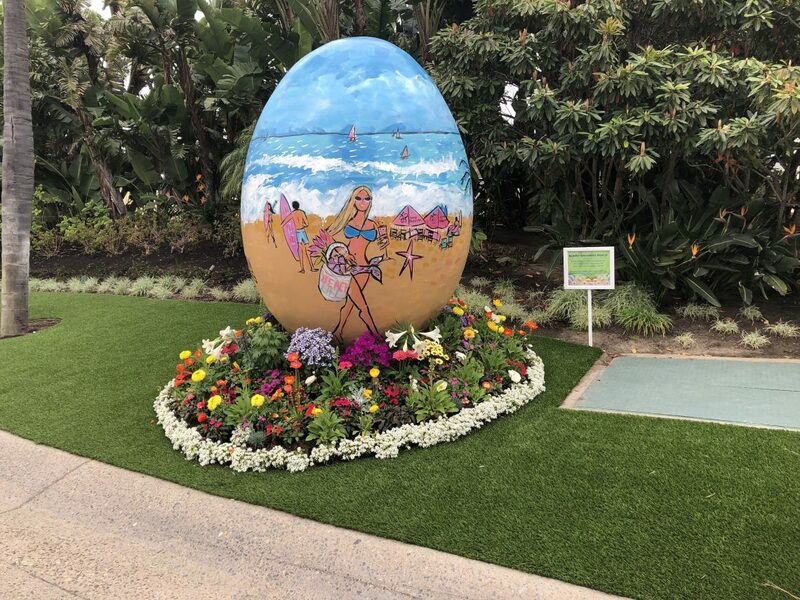 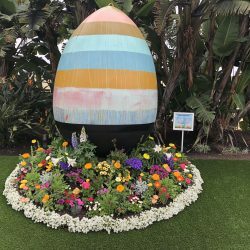 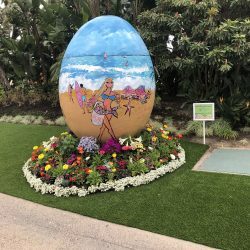 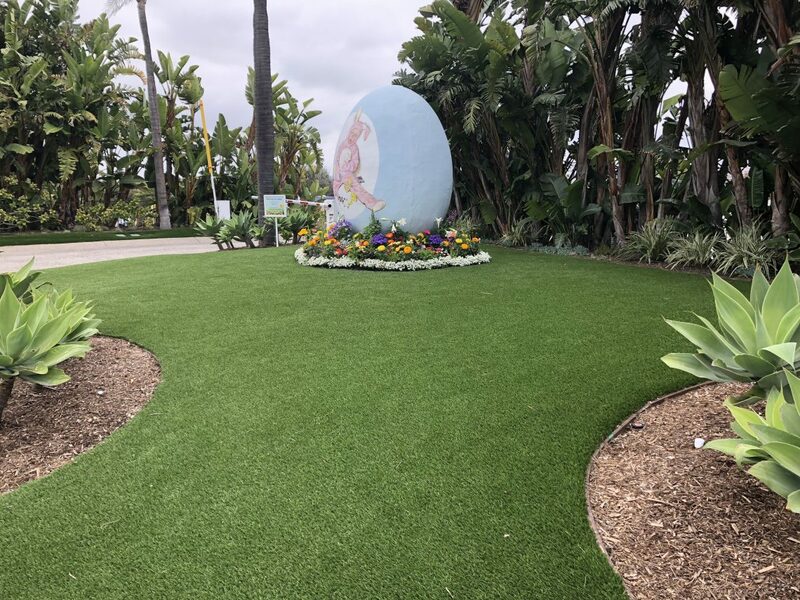 The once-lush knoll, by springtime, will feature a pathway of decomposed granite, a bed of river rocks and a sign encouraging water conservation. 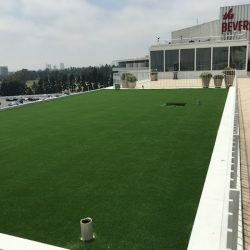 For its water-saving efforts, the beer company is scheduled to receive a check for about $187,000 from the Metropolitan Water District of Southern California through the agency’s turf replacement rebate program. 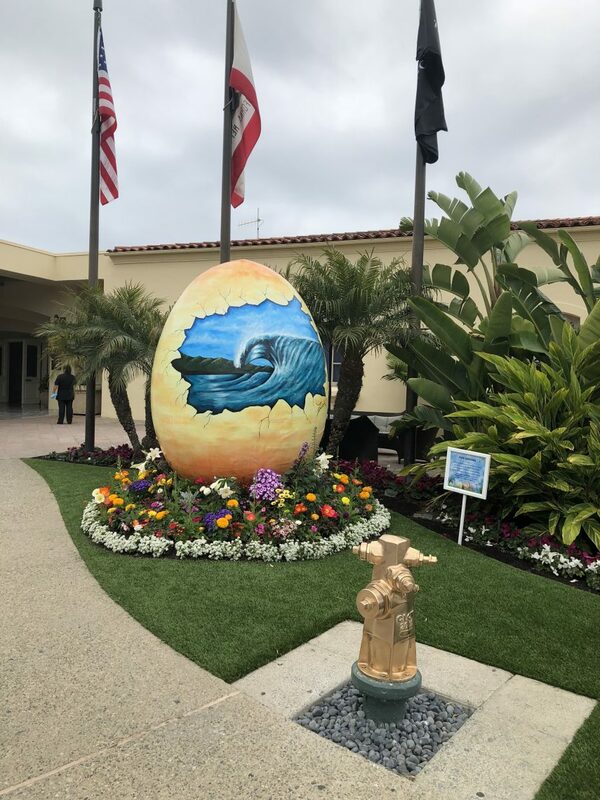 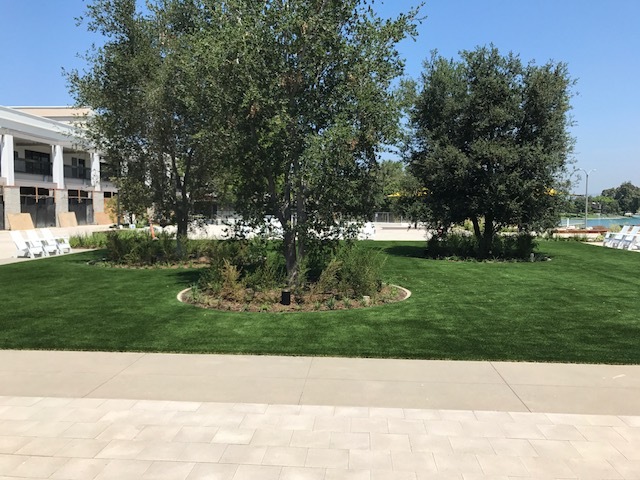 Local and state water officials have lauded the multi million-dollar program as a water-saving boon for the drought-stricken state. 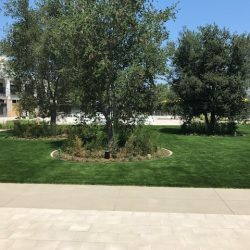 Thousands of Southland residents have applied for financial incentives to tear out and replace turf with drought-friendly foliage, a move experts say is critical to re calibrating Californians’ attitude toward water. 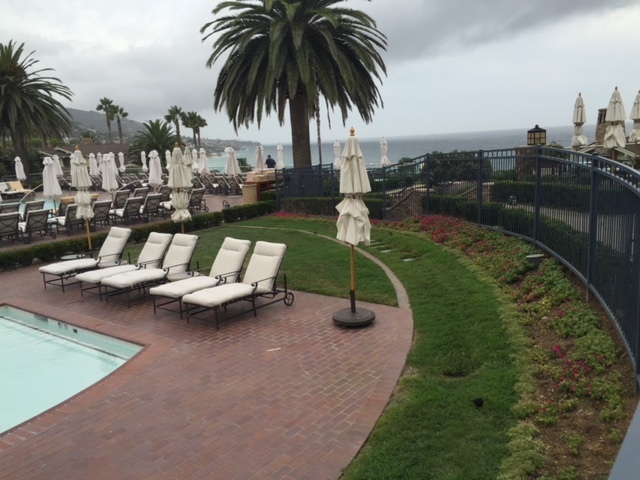 Businesses are cashing in, too, in a big way. 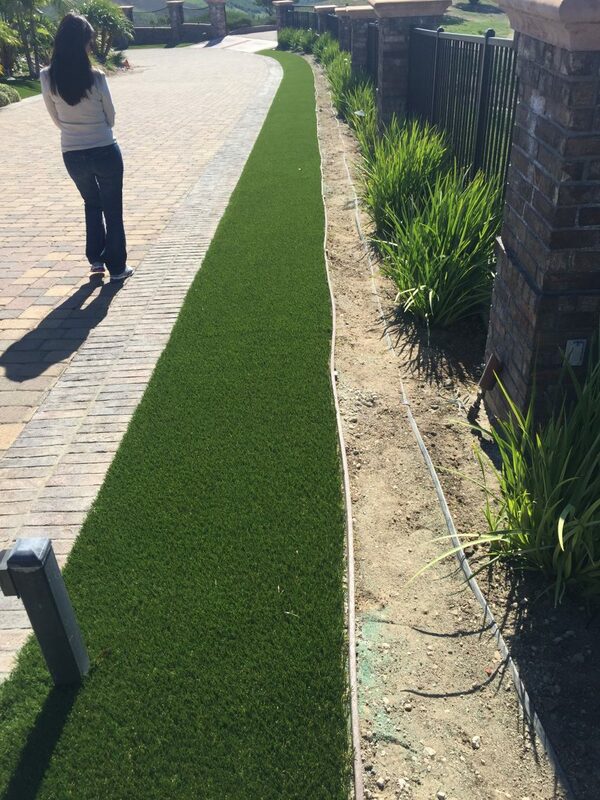 Of the $85.6 million MWD has allocated for turf replacement rebates under the program, about 60% is slated for commercial customers, according to department records and officials. 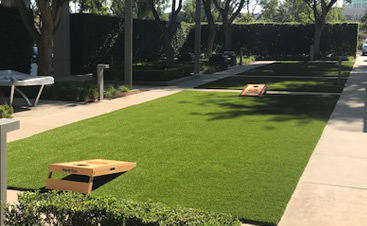 Commercial entities, including expansive golf courses and for-profit businesses with gigantic lots, such as Miller Coors, used around $51 million. 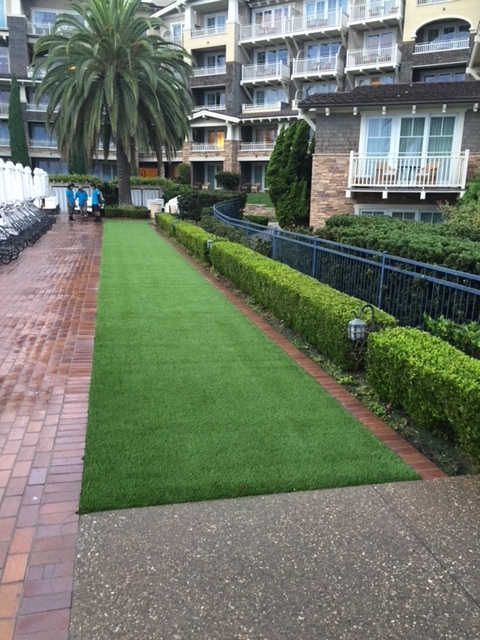 Meanwhile, residential customers received about $34 million to replace grass. 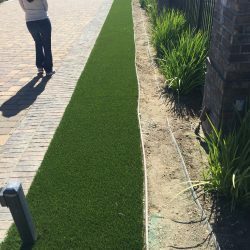 Unlike some other turf rebate programs across California, MWD’s does not limit the size of rebates. 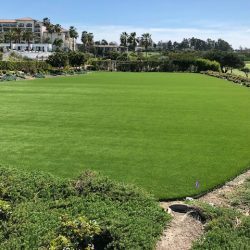 At least three golf courses in affluent parts of Southern California are slated to receive more than $4 million, according to department records compiled for The Times in November. 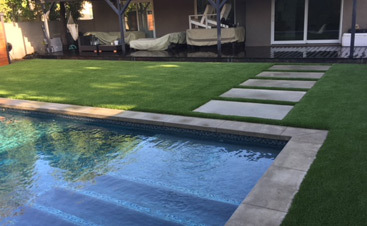 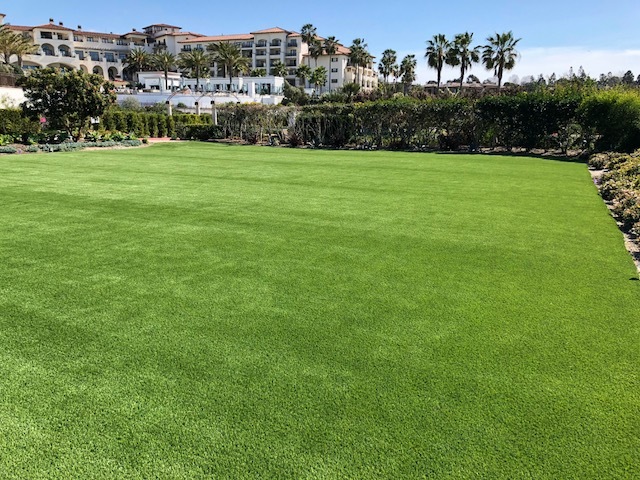 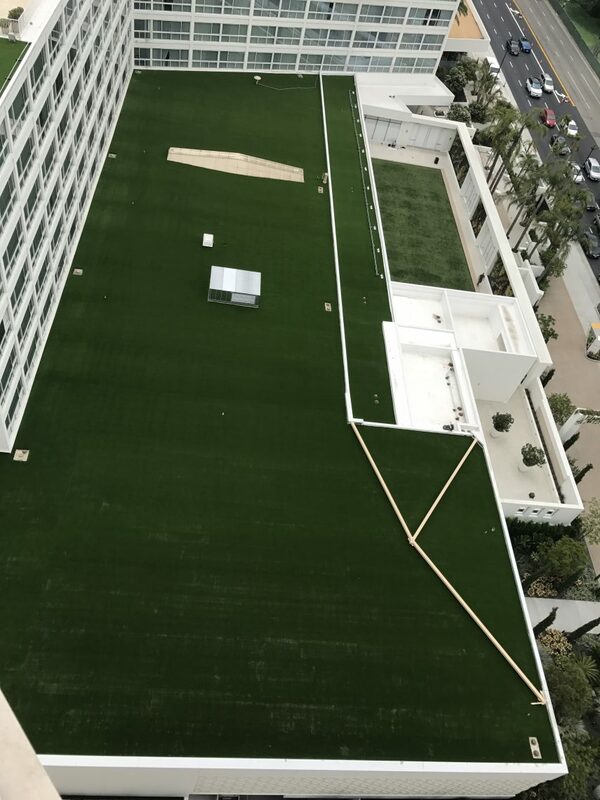 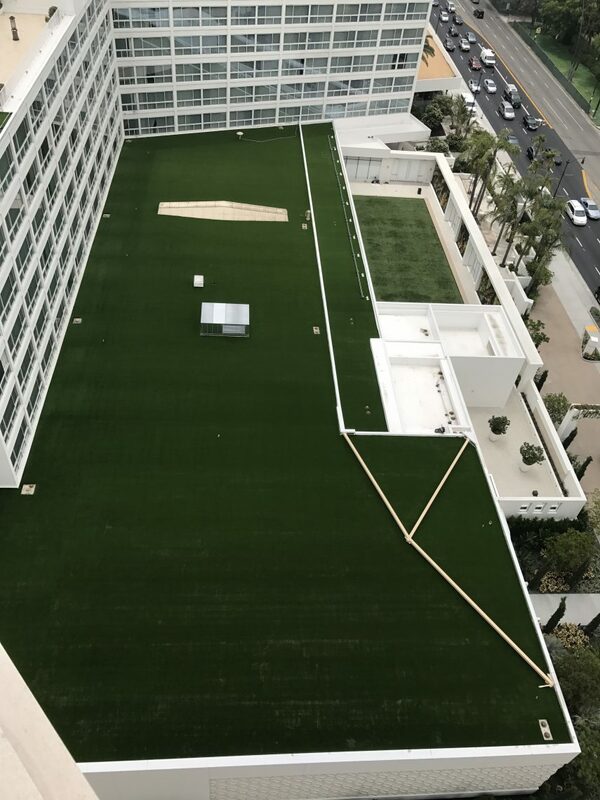 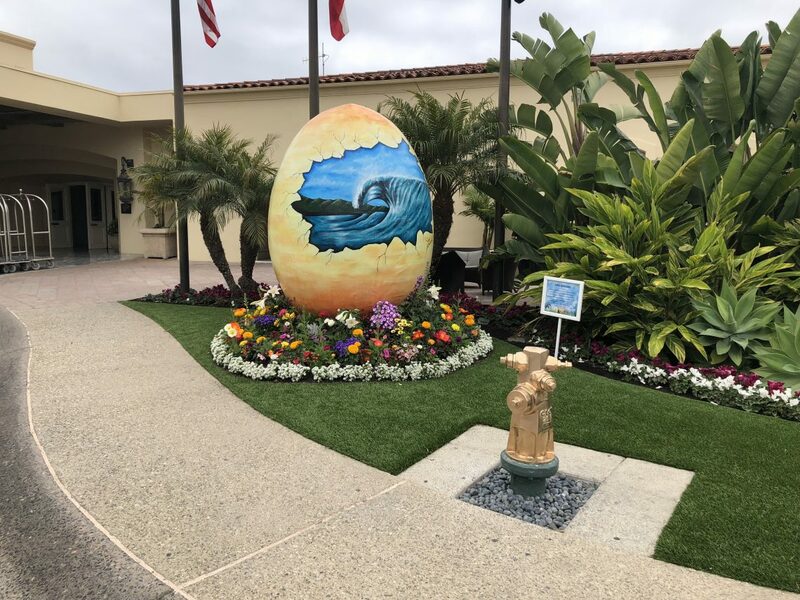 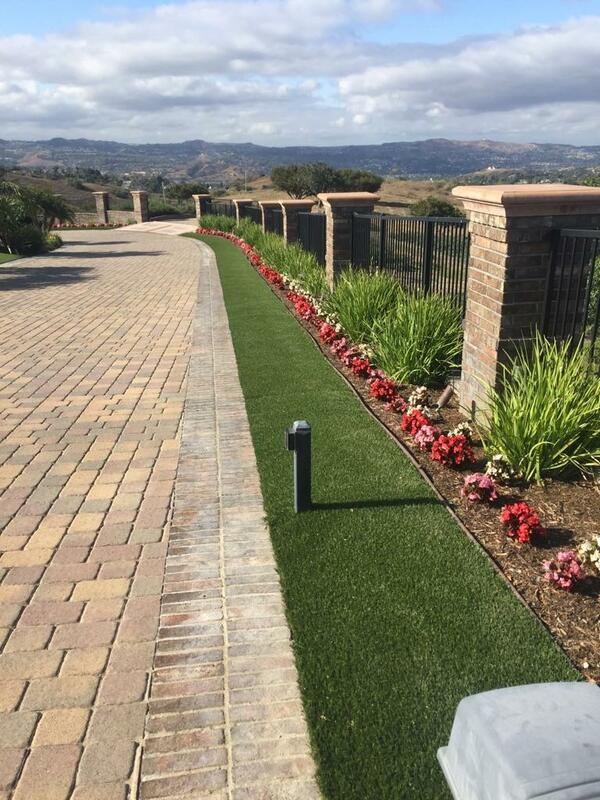 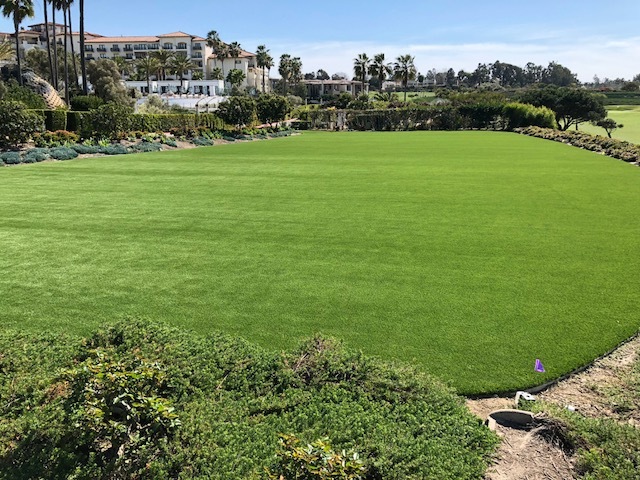 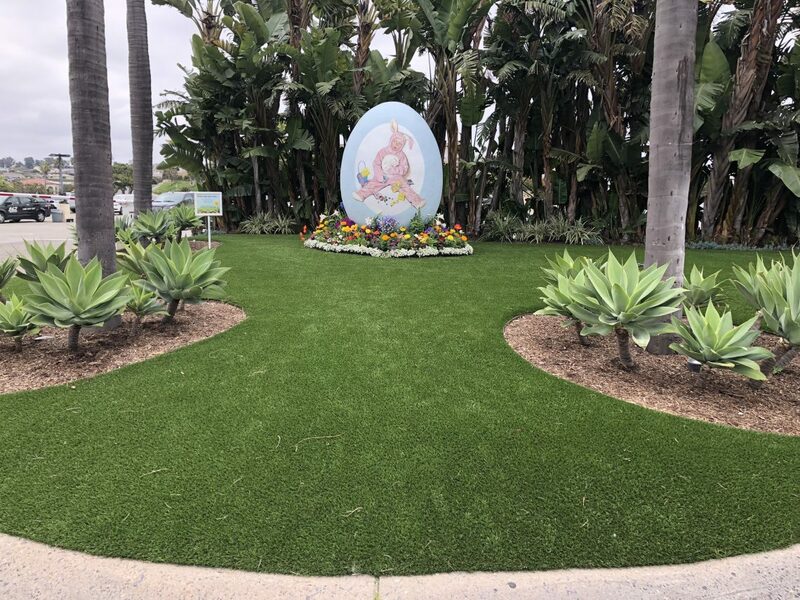 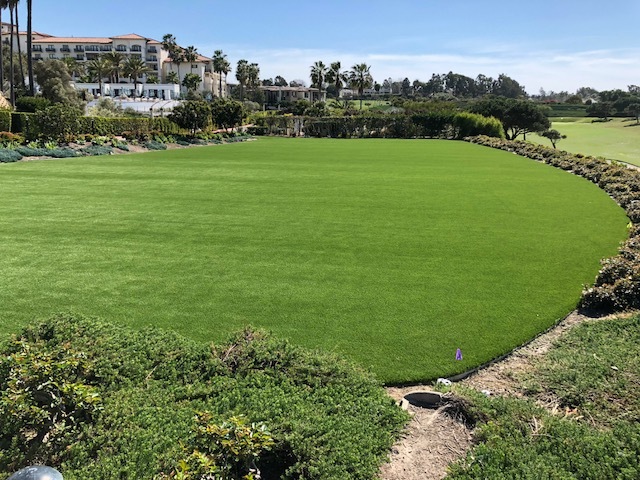 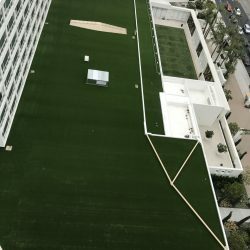 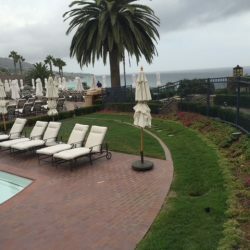 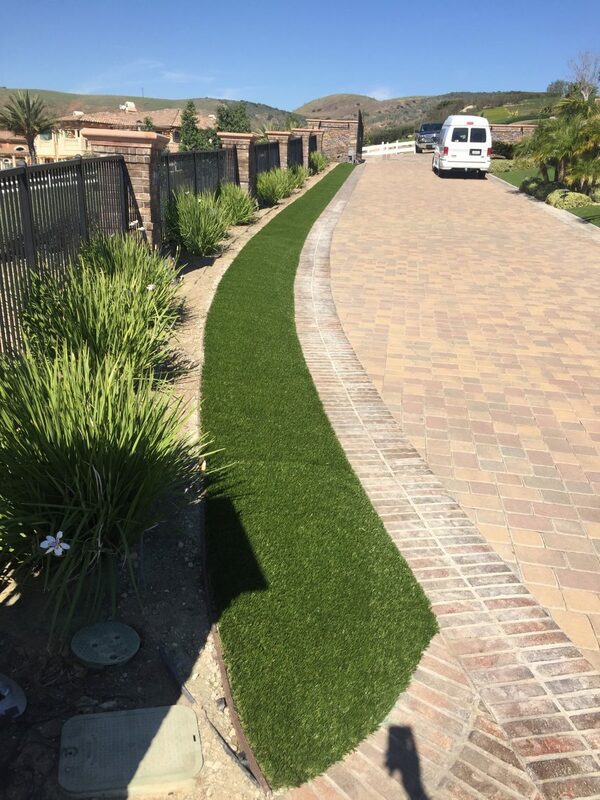 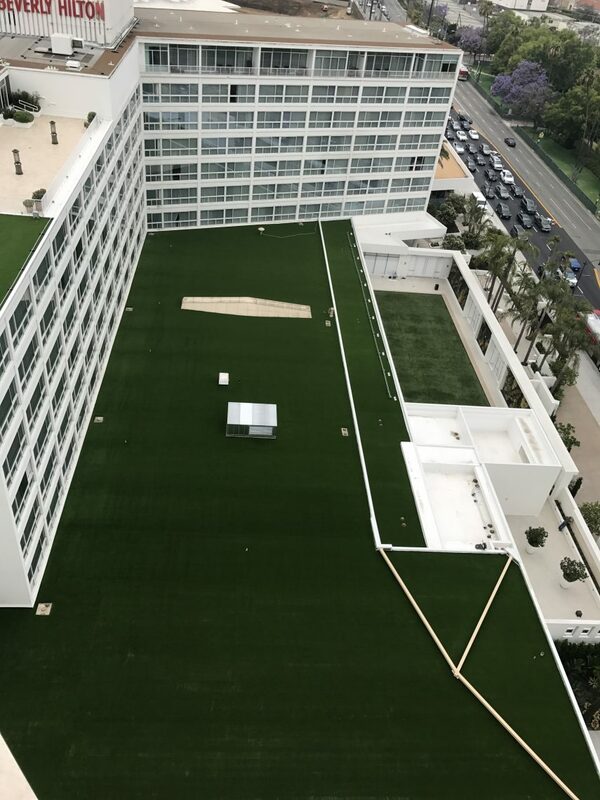 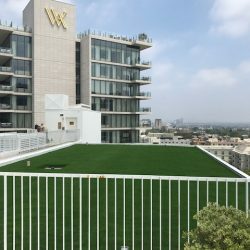 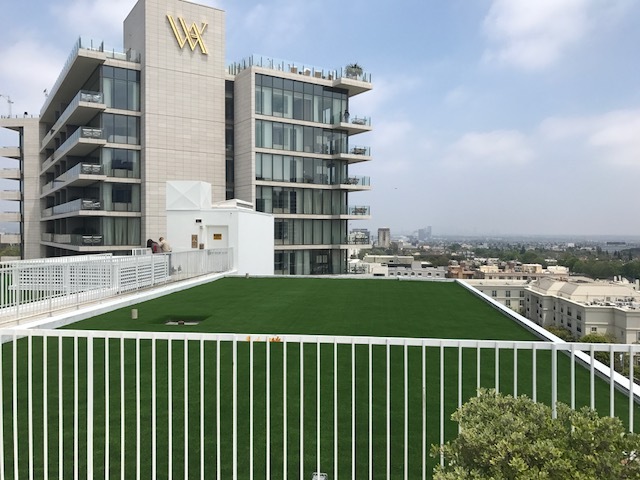 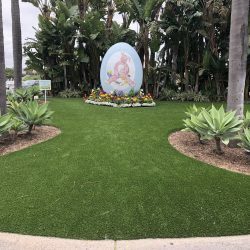 Experts said the cost of rebates for large, commercial Artificial Grass Installation projects is a long-term investment that will help ensure future water reliability. 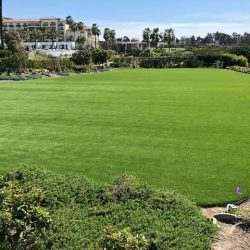 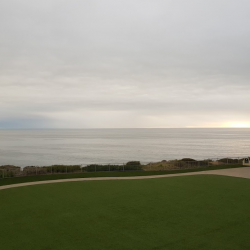 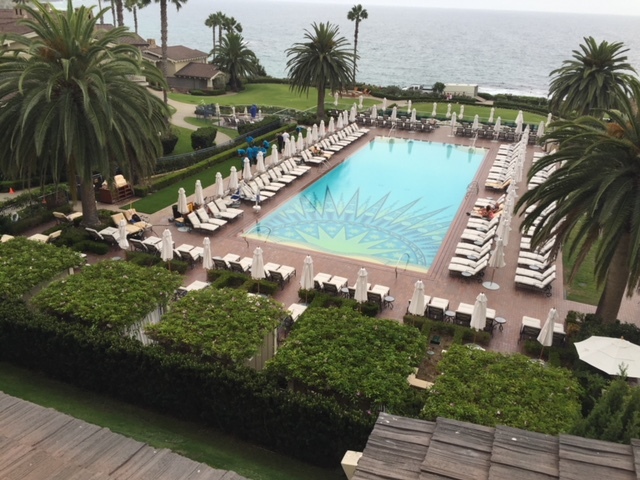 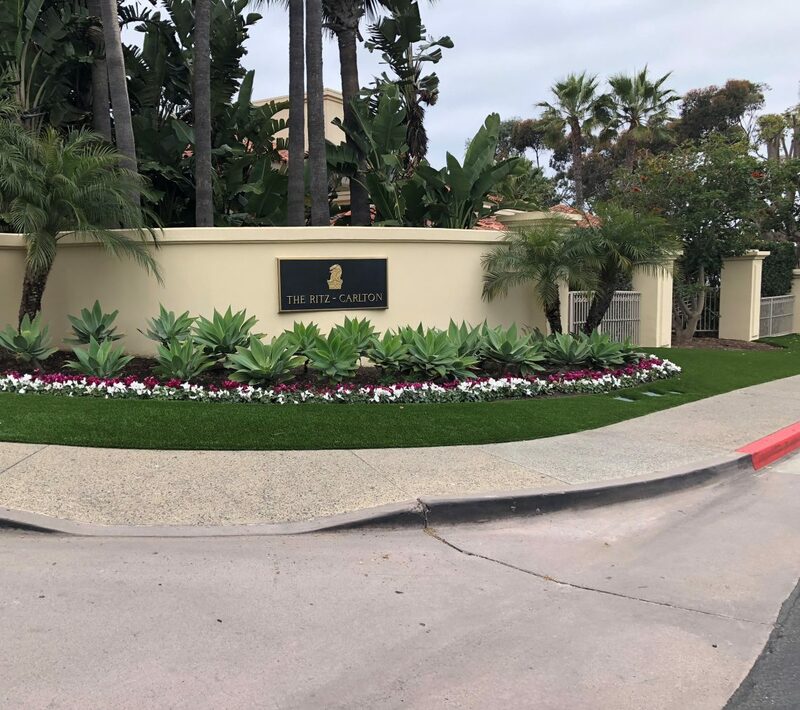 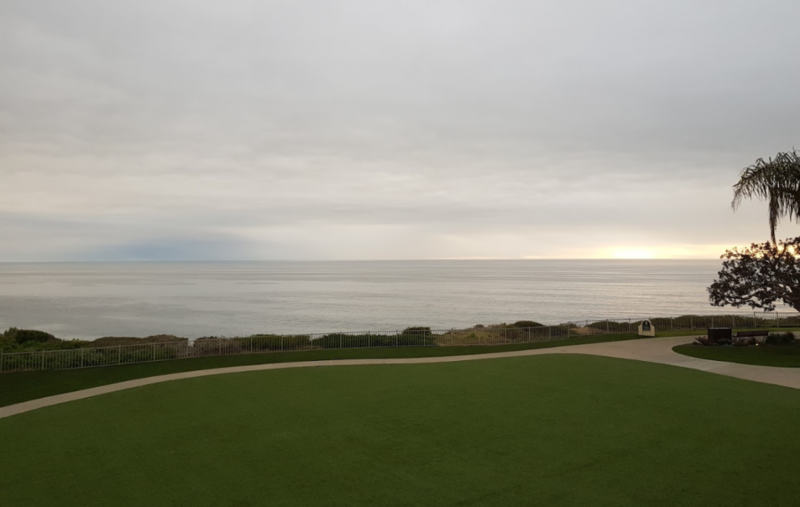 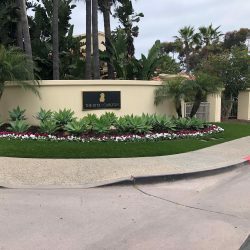 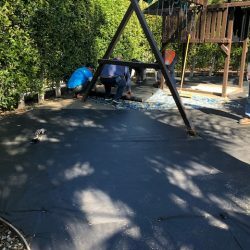 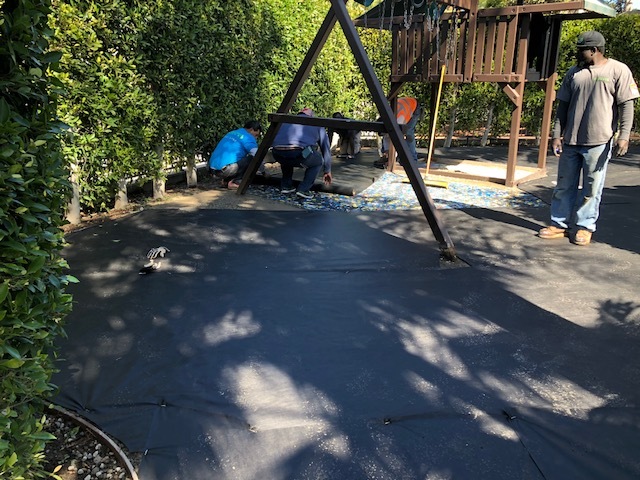 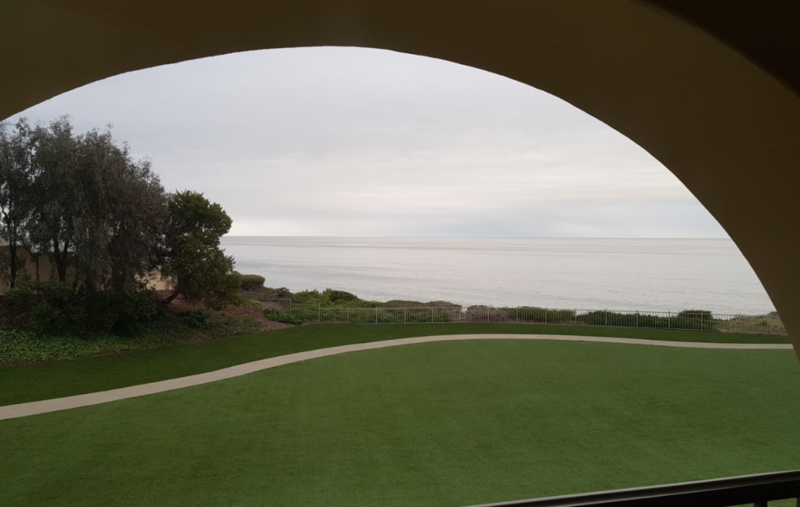 But homeowners who have pinched pennies to replace their lawns with drought-friendly landscaping found the distribution of millions to commercial entities that could otherwise afford the cost of turf replacement too steep.